After parading more of Paul Manafort's extravagant purchases — including lavish suits and "M-shaped" flower gardens — the former Trump campaign chairman's bookkeeper testified that she did not know of any offshore accounts and that financial documents Rick Gates sent to banks in 2015 showed the company making $4 million more than she had accounted for, according to the Washington Post. The big picture: This is day three of the Manafort's trial, and the money fraud case against him is building. The details: Judge T.S. 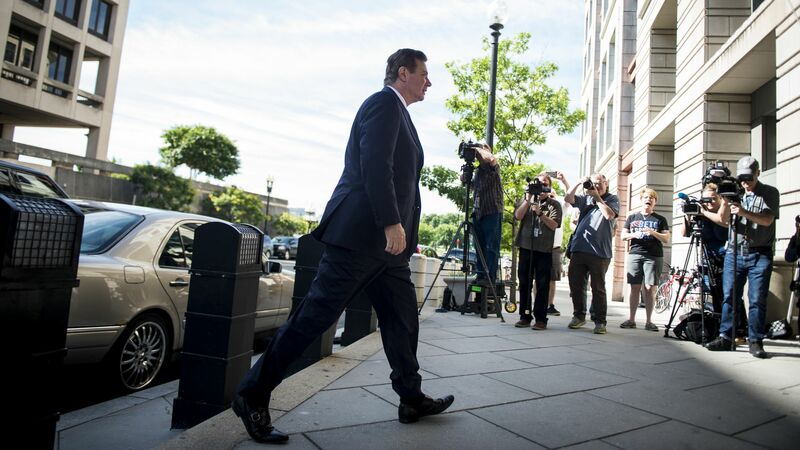 Ellis III pushed back against the detailed information described by prosecutors regarding Manafort's purchases saying, "All the evidence of the fancy suits really is irrelevant and besmirches the defendant. Most of us don’t have designer suits, we don’t have pagodas … it engenders some resentment." He added that the point is whether or not Manafort paid taxes on that income, "I might have started there had I been the government, but that’s your choice." After some doubt yesterday, Rick Gates seems more than likely to testify again. "We have every intention to call him as a witness," one of the prosecutors, Greg Andres, told the judge. One fun thing: A juror is having a birthday tomorrow, it seems. The jury requested a birthday cake, and Judge Ellis obliged. "You may indeed bring in birthday cake for Friday. I quit having birthdays years ago," he said.